Since we've got a number of provincial mods here, I thought it might be nice to report these maps. 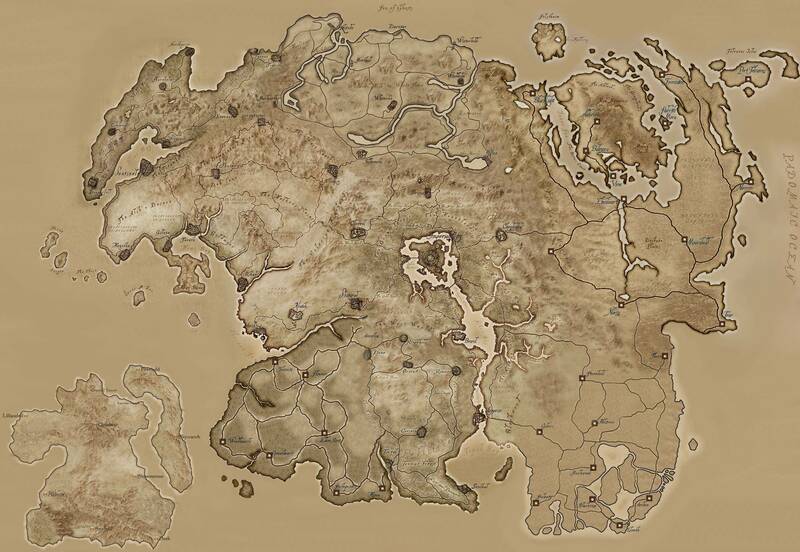 These are the best maps of all of Tamriel, or Nirn, in my opinion. The originals can be found on the Imperial Library. Amazing maps AndalayBay, those 2 have been always my favourites, thank you for sharing!! Purple: Elsweyr Anequina by Iliana. Green: TWMP Valenwood Improved by Haldar. White: TWMP Hammerfell by Haldar. Pink: Silgrad Tower by The Silgrad Tower Team. Red: Morrob.. by The Morrob.. Team. I hope maybe it could helps somebody and may be interesting enough to post it here. And the Black Marsh project, which is hosted here, covers Argonia. We released our first alpha a few months ago and we're working on the second alpha now. There wouldn't happen to be a more detailed geological map somewhere, would there? Actually those maps are based on lore, not on any mods. When we create a mod for a particular province, we'll change the geography to match our requirements. For example, our Black Marsh is wider than any map derived from lore or the old games. Not that I know of. I'd check the Imperial Library, but if they don't have anything, then I don't think anybody would. Ooh, that one's much better. Where'd you find it? Exactly the same map that Onra created can be used in TheNiceOne's Dynamic Maps mod if you select the Tamriel Heightmap option during the installation. Another map type is the Elven map style. 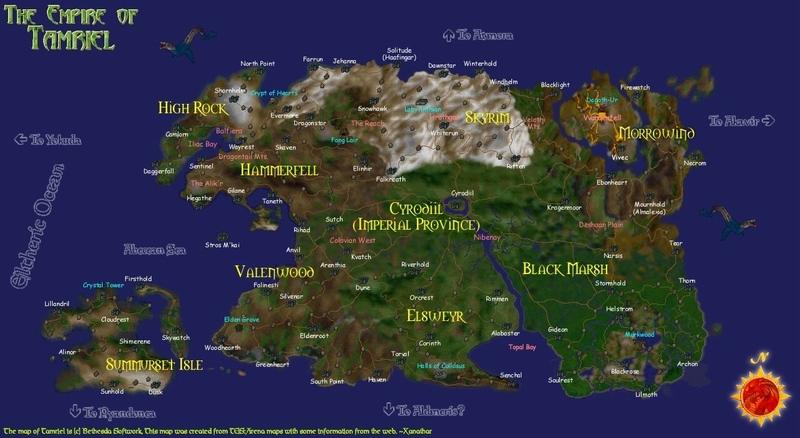 That's a Really Cool looking map, I wonder why Morrowind, Black Marsh and Valenwood only have Square city's? It's an amalgamation of maps from different sources - the square-marked cities will be from one source while the TES4-style-marked cities are from another.